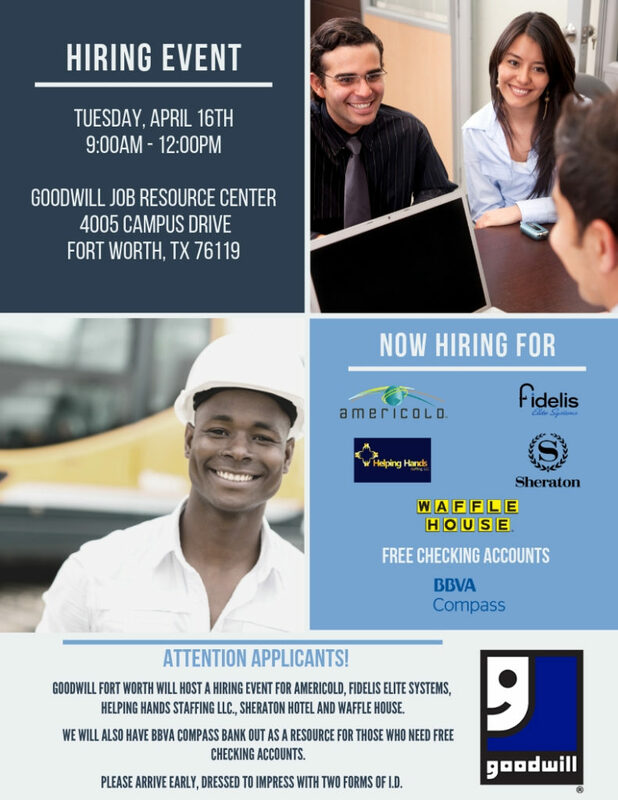 Goodwill Fort Worth will host a hiring event on Tuesday, April 16 from 9 a.m. – 12 p.m. for Americold, Fidelis Elite Systems, Helping Hands Staffing LLC, Sheraton Hotel and Waffle House. BBVA Compass will also assist with opening free checking accounts for those who need them. Please arrive early, dressed to impress with two forms of ID.